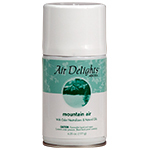 Bring in the scent of an open field on a mountain hike with Air Delights' Mountain Air. 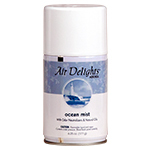 Mountain Air is composed of lily of the valley and evergreen, which is followed by light accords of melon and wildflowers. 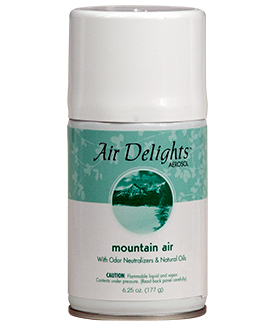 Mountain Air brings in the smell of the mountain valley and open fields without the day long hike.